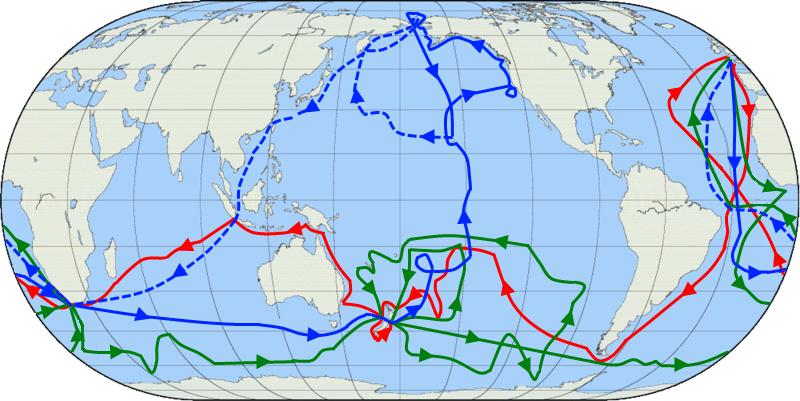 (From Wikipedia): The routes of Captain James Cook’s voyages. The first voyage is shown in red, second voyage in green, and third voyage in blue. The route of Cook’s crew following his death is shown as a dashed blue line. On this day in 1902, Teddy Roosevelt became the first U.S. President to publicly appear in an automobile. Exactly twenty years later, Irish Free State military commander Michael Collins was shot dead in an ambush. He was 31. The two-and-a-half year siege caused the greatest destruction and the largest loss of life ever known in a modern city. On Hitler’s direct orders the Wehrmacht looted and then destroyed most of the imperial palaces, such as the Catherine Palace, Peterhof Palace, Ropsha, Strelna, Gatchina, and other historic landmarks located outside the city’s defensive perimeter, with many art collections transported to Germany. A number of factories, schools, hospitals and other civil infrastructure were destroyed by air raids and long range artillery bombardment. The 872 days of the siege caused extreme famine in the Leningrad region through disruption of utilities, water, energy and food supplies. This resulted in the deaths of up to 1,500,000 soldiers and civilians and the evacuation of 1,400,000 more (mainly women and children), many of whom died during evacuation due to starvation and bombardment. 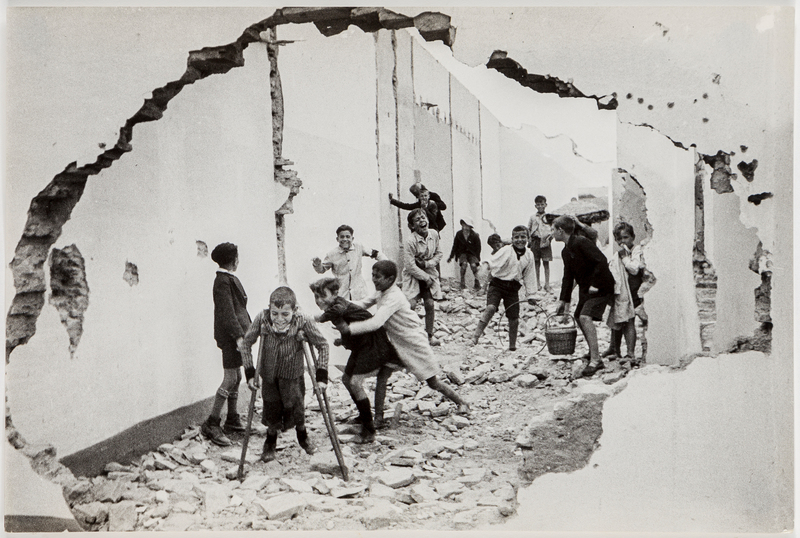 Cartier-Bresson: “”Boys playing in Sevilla, 1933”. Notables who died on this day include Jean-Honoré Fragonard (1806), Huey P. Newton (1989) and Colleen Dewhurst (1991). 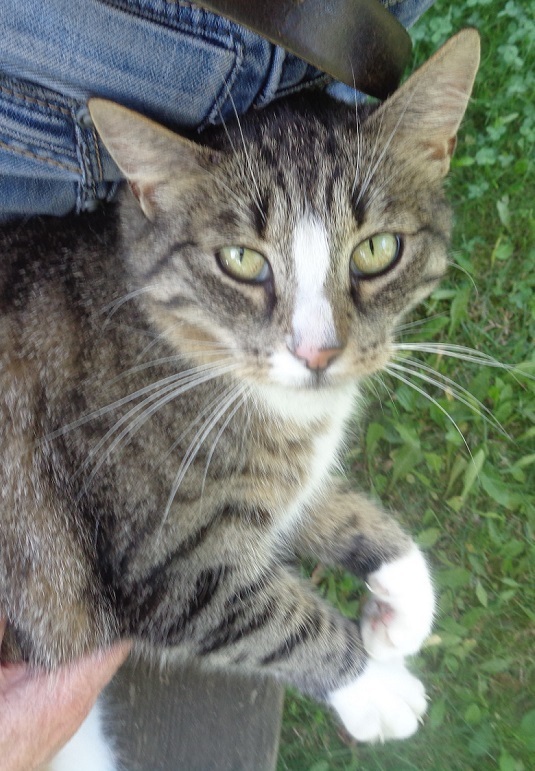 Hili: How important are cats in the life of humans? Hili: Jak ważne są koty w życiu człowieka? A tweet from Matthew. After looking at the thread, I still have no idea what he ate. Today I ate some 609 million year old fossilised embryos. They were gritty. From reader Gethyn: This man’s story of sexual and physical abuse at the hands of the Catholic Church in Ireland can be found here. His testimony is emotional and powerful; do listen to it and see what the Catholic Church did. Tom Jones and Aretha: who woulda thunk it? It’s GOOD! I had no idea this existed, from 1970 a live medley of songs with Aretha Franklin and Sir Tom. From Grania again: All I can say is “OMG”. The video is here. This entry was written by whyevolutionistrue and posted on August 22, 2018 at 6:30 am and filed under Hili Dialogue. Bookmark the permalink. Follow any comments here with the RSS feed for this post. Both comments and trackbacks are currently closed. “to protest a right-wing rally” – to protest AGAINST a right-wing rally. “The short form works for me” – the short form works!? About Micheal O’Brien, the man who was abused by Catholic clergy in an industrial school/care home. His story is horrifying. This is what I just cannot understand. I do not know how anyone can still be Catholic knowing all the abuse and all the covering up and all the enabling by the Catholic hierarchy, putting priests in new places where more victims were made. I am so revolted by these stories. How can people stay in that church? “The Church” vs the parish, people see their local community as different from the church as a whole. So they go to funerals, weddings and etc. and not see the hypocrisy of staying in a institution that hides,lies and looks for indemnity for crimes and reneges on the deals it’s made. Thanks for the Tom Jones and Aretha. It is a delight! I wish she had sung more of It’s Not Unusual. She sounded so good. And one of the most attractive outfits I’ve seen Aretha in. Ditto — she looks fantastic. I also sent the video to my wife and she wants me to get the sweater-belt thing TJ is wearing. Hmm. I doubt I’ll be able to find my old one. Or fit into it. The people who picked Tom Jones’s early material for him did him no favors. He could really wail, and deserved better songs. I see Cook faithfully went through Cook Strait (between North and South Island of New Zealand) on every one of his three voyages. In fact on Voyage 2 he went through it twice. What was he after, Frequent Sailor points? Cook Strait can also be, notoriously, the roughest bit of sea around the NZ coast. I’m a big fan of cult movies, and cult books, and cult records (indeed, I tend to distrust anything that achieves more that cult popularity, at least in the US, since there’s no underestimating the tastes of the American public), though I’m not much of a “cultist” myself, so I’ll be attending sans cosplay outfit. Still, it’s a shame about the Chinaman peeing on The Dude’s rug; that rug really tied the room together. A big fan of cult movies? Then I take it you are a big fan of the awesomeness that is The Adventures of Buckaroo Banzai Across the 8th Dimension? Well, maybe not quite that far down the cult rabbit-hole, darrelle, more like Repo Man (to name another cult hit from 1984). I forced my kids to watch it when they were about 8. They loved it too. It shall not die! I’ll never forget Repo Man, because when generic products in black and white label cans came out, I always used to joke that one day we’d see the ultimate generic product, a can labelled: “FOOD.” Then, in one scene from the movie, people were eating “FOOD” out of black and white label cans. No, the ultimate generic is “stuff”. I’m in the middle of Steven Pinker’s The Blank Slate. There are a couple chapters where he writes about humans denying human nature by blaming society and other externalities for their bad behavior. I kept recalling that line by Duke after being shot trying to rob a liquor store: “Society made me who I am?” Then Otto set him straight before Duke died. “But it still hurts.” Gotta rewatch that movie. Laugha whilea you can, monkey boy. One of Lithgow’s best performances! 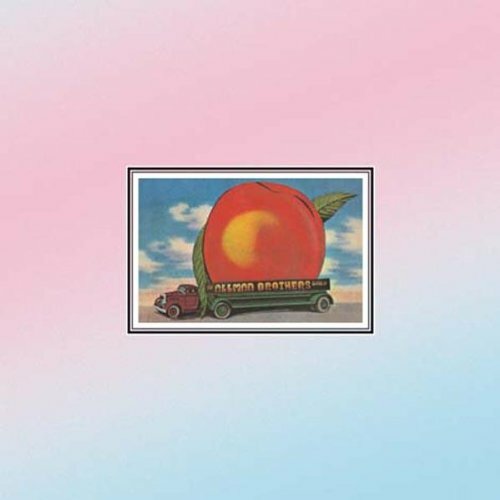 Just watched the first episode of a new TV series purportedly influenced by The Dude. It’s called Lodge 49 and I think it might turn out to be interesting. Stars Goldie Hawn’s son with Kurt Russell. Damn, I forgot to tape that series. I was interested in it too. Glad to hear someone liked it. Hopefully the first episode is on ‘On Demand’. We watched the first episode On Demand. Have taped the next two. Not sure where the series is heading, but the pilot was pretty good. That would be acutely, hideously embarrassing, even with the very occasional co-worker I would normally have liked to cuddle – but by mutual consent, in suitably romantic circumstances – NOT by organisational diktat. That’s without even contemplating the potential for it to go hideously wrong or the yuckiness of their proffered group gropes. And these people claim to be some sort of experts in ‘team building’? Corporate stupidity knows no bounds. It’s analogous to alternative medicine, fitness woo, supplements woo, etc. My wonder was over how this can possibly go along with sexual harassment policies. Oh, come on – they do it in the support dog industry all the time! Lucky for the woman yacking on the phone in the back of the car she wasn’t wearing leopard print. As an indulgent ailurophile, Debussy’s lucky cats probably got to hear the preludes and etudes before the public did. “Debussy” was the character Huntz Hall played in the old Bowery Boys/Dead-End Kids one-reelers. My best guess is he got confused after eating soeme Grape Nuts. If they are fossils, I have learned here that (macroscale) fossils should feel gritty (?) or at least sticky to the tongue due to the frequent pores. More likely it is a joke. Or an embryo to one. Aretha’s lookin’ very Nina Simone at the piano in that clip with Tom Jones. Science needs to do extensive study of Tom Jones in the next forty or so years before he starts to deteriorate. Tom Jones’ biology (and whatever experimental baby blood treatments he has been using) surely holds the key to near-immortality. Laverbread and Leeks is wot does it. Re the siege of Leningrad ,there is a theory that the Amber Room wot them nazis borrowed ,was on board the MV Wilhelm Gustloff which was sunk by a Soviet Sub in January 1945 ,with a great many civilian lives lost . “900 Days “by “Harrison E Salisbury ” is about the siege . Those Antifa thugs are a G*d’s gift to Trump (speaking metaphorically, of course).